Kwikset Locks Scottsdale | Local 24 Hours | Metro Lock & Safe Inc. When you want the best in security, you want Kwikset locks in Scottsdale. As a fantastic option for your new property construction, existing home, or as a tough and strong lock replacement option, Kwikset locks can make a huge difference in home security. When you want reliable Kwikset locks from one of Scottsdale’s most well regarded locksmith companies, trust your security with Metro Lock & Safe Inc.
Our locksmiths have the knowledge you want in a Kwikset lock expert. All of our personable staff have extensive home security knowledge, and frequently install linked, multi-stage, and individual security systems. Whether you’re looking for high tech, traditional options, or a marriage of the two, Kwikset locks are made to meet your needs. Kevo Smart Locks – This smart lock line puts you at the cutting edge of home security. Kwikset is a leading manufacturer of bluetooth ready smart locks in Scottsdale. These bridge security and modern convenience, providing users with even more ways to control home access. With wireless updating, these locks always utilize the latest Kwikset software and new features can even be added. Kevo locks have most recently been paired with Nest thermostats to provide users with easy control of their security and comfort. Kwikset Smartcode – Pairing keyless touch pads and intelligent deadbolts put these designer locks ahead of the curve. Offering enhanced security and chic design, they also have cutting edge features. These include smudge attack prevention technology. These also hold up to 30 codes and can even sync with certain entertainment and lighting software. 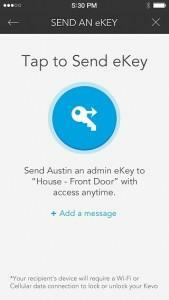 Remote unlocking and locking gives you the ability to grant home access anywhere, anytime. Traditional Locks – Kwikset locks in Scottsdale aren’t just for the technologically inclined. With a whole range of traditional locking options that cover locks and standard deadbolts, you’re covered. Gorgeous hardware and aesthetics round them out, and include a new rustic themed line. Bridging the gap between security and beauty, these have vintage style and modern protection. With an array of incredible options that fit any property, we’re positive you’ll find the right lock when you see our vast selection of Kwikset locks. Our security experts make installation easy. Appointments are scheduled around your needs to reduce any inconvenience. Our capable and highly experienced locksmiths provide reliable and fast installation of your Kwikset locks in Scottsdale. We can also repair any existing Kwikset locks you may have that have incurred damage from age, break-in, or other causes. When you want a full service lock provider with a wide ranging selection of Kwikset locks in Scottsdale call (480) 725-6544 or Contact Us today.